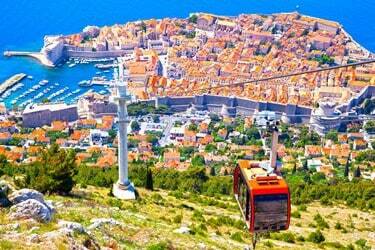 3 nights in Kotor, Montenegro, 4 nights in Dubrovnik & 3 nights in Split, staying in 4 or 5 star hotels. 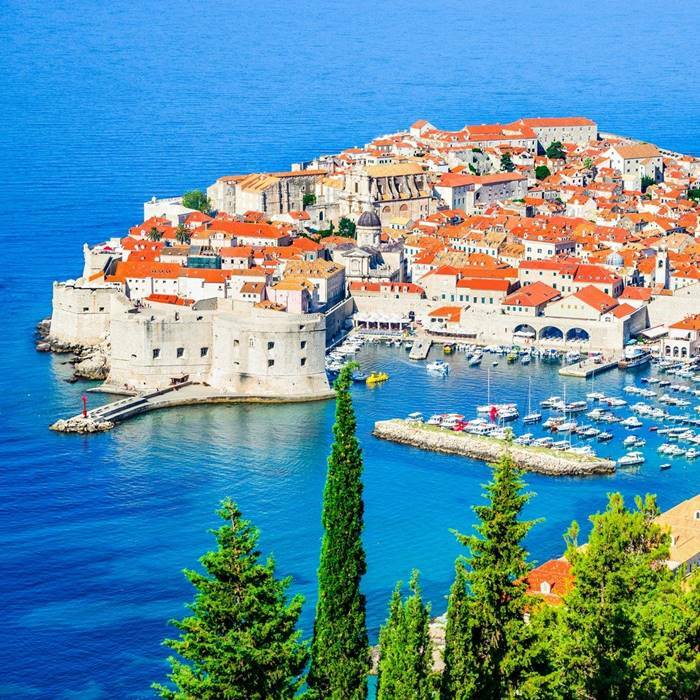 This itinerary includes UK flights, private transfers, a private guided tour of Kotor & Perast, a private city tour of Dubrovnik and the Krka National Park group tour. Discover this historic and beautiful region on our 10-night Kotor (Montenegro), Dubrovnik & Split multi centre holiday. Admire the charming narrow streets and Venetian architecture of the medieval town of Kotor, overlooking the turquoise waters. 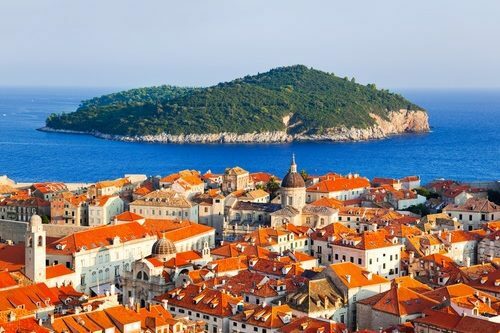 Explore the beautiful and famous UNESCO-listed city of Dubrovnik with its baroque themed architecture and stunning old town. 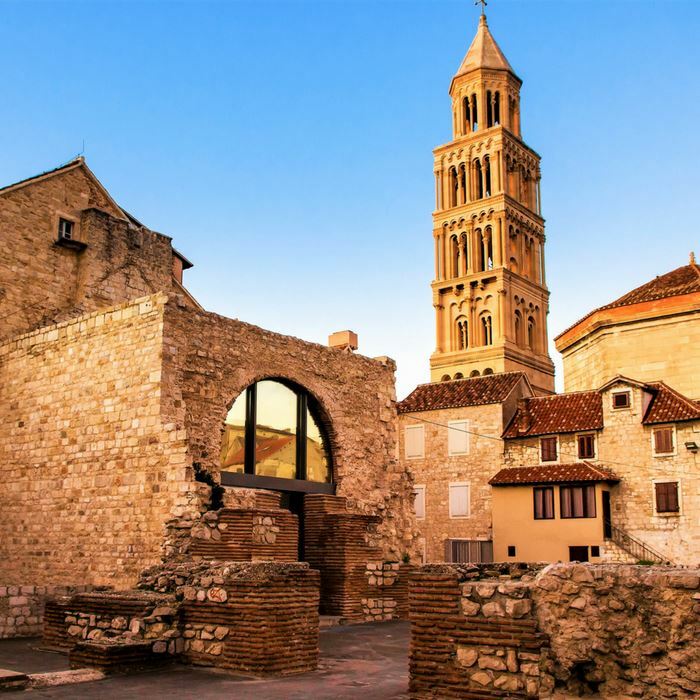 Finally, you will visit Split which boasts one of the best preserved Roman Palaces in the world – Diocletian’s Palace. Our experienced local guides will inspire you by showing you the main sites on our private tours of Montenegro & Dubrovnik old town. 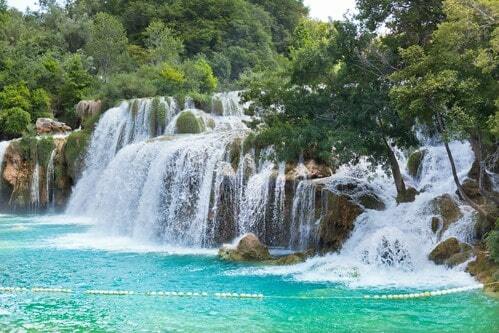 You will also admire the spectacular lakes and waterfalls at the famous Krka National Park. You will be met at Dubrovnik airport with a private transfer over the Croatian border into one of the most picturesque countries in Europe. Montenegro may be one of the smallest countries in Europe, but is undeniably large in every other way – from its dramatic vistas and endless coastline to its magnificently preserved architecture. You will drive alongside the Kotor Bay which is Europe’s most southern Fjord. The intimate Boutique Hotel Forza Mare is ideally located in Dobrata, close to Kotor with a private beach and luxury spa and is in a perfect position to explore the charming fortified town of Kotor. Have a relaxing evening sampling the local Balcan specialities and admire a spectacular sunset over the Adriatic. Enjoy the immediate surroundings of your luxury boutique hotel at the waterfront of Boka Bay with breathtaking views over the Bay of Kotor. Enjoy the peace and quiet of the luxurious private beach. 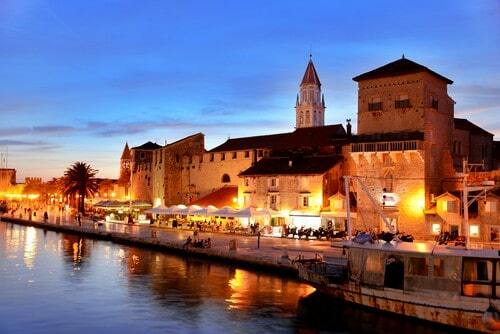 Enjoy the meandering coastline, backed by dramatic limestone mountains and the serene blue waters of the Adriatic. Visit the nearby charming medieval town of Budva with traditional stone walls that surround the medieval old town that were built by the Venetians. You should also visit the Podmaine Monastery which boasts fantastic views over the bay. Take a visit to Sveti Stefan, a famous islet with a jumble of 15th century stone villas overlooking the turquoise waters! You will be met by our driver for your private transfer, over the border, to Dubrovnik which is renowned to be one of the most beautiful UNESCO-listed cities in the world. You will pass Cavtat and the Konavle region on route to the city. Your hotel, the Hotel Kompas is a luxurious 4-star hotel, adjacent to a beach and with an attractive outdoor swimming pool. The city is simply brimming with marbled streets, imposing medieval architecture and a host of awe-inspiring defensive walls, churches and palaces. Sample the local cuisine in one of the many fabulous restaurants in the city, some of which boast sweeping views of the Adriatic coastline. A fantastic private city tour with our English speaking local guide. You will explore the city gates (Pile, Ploce or Buza) and take a stroll down the Stradun, the widest and longest street in Old Town. Admire Onofrio’s fountain and the Orlando’s statue and experience the stunning Sponza and Rector’s Palaces. To explore Dubrovnik further, walk the stunning Old City walls, with St John’s, Bokar and Minceta tower forts along the way, for breathtaking views of Dubrovnik’s surroundings and watching waves crash into the fortifications. For a stunning sunset, take the cable car up Srdj hill, offering stunning panorama of Dubrovnik and Elaphiti islands and treat yourself to a cocktail at the summit! For a day surrounded by nature and tranquillity, catch the ferry to the Lokrum island nature reserve with its beautiful wild beaches and the remains of a 12th-13th century Benedictine monastery of St Mary and a cloister garden. 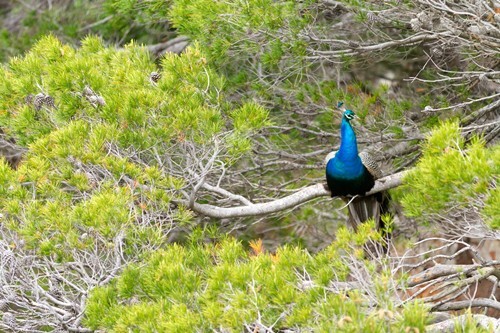 Enjoy a peaceful day, surrounded by Lokrum’s locals: peacocks and wild bunnies. There is café offering light refreshments, but we would advise that you bring your own picnic from the delicious local markets that offer fresh delicacies in Dubrovnik. Sample the range of incredible local cuisine in Dubrovnik old town and marvel at another gorgeous sunset! Join us for a half day or full day wine tasting tour of the Peljesac peninsula, one of the most renowned wine-regions in Croatia, offering a stunning landscape and beautiful unspoiled beaches. The tour will allow you to sample many different delicious local wines whilst tasting the local cheese and olives in a traditional vineyard. Besides excellent Dingac, Posip and Postup wines, Peljesac is also known for its oyster and salt farms. You will visit the picturesque 14th century town of Ston, with its 7 km long walls and oyster farms, famed for arguably the best oysters in the world! Our driver will collect you from your hotel, and you will be driven along the coast to Split, to the 4-star luxury boutique Hotel Marul. As the second-largest city in Croatia, Split is the main harbour in the Dalmatia region and the city balances tradition and modernity with a fabulous zeal. The famous Diocletian’s Palace makes the core of the Old Town and a symbol of modern-day Split, incorporating an eclectic combination of Roman temples, Gothic palaces and modern Mediterranean-style stone houses. 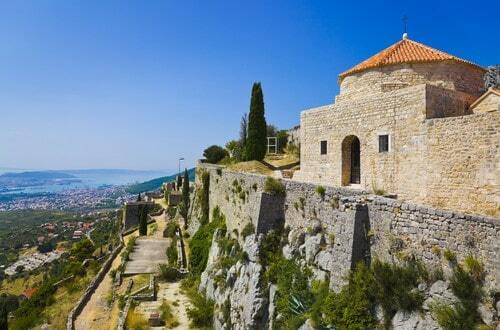 Enjoy the panoramic views from Marjan hill or simply walk the cobbled streets of the Old Town, infused with history. Take an early evening stroll along the Riva, Split’s palm tree-lined promenade and admire the gorgeous sunset. You will enjoy a fabulous group escorted tour to the stunning Krka Waterfalls National Park. Admire the beautiful waterfalls and lakes and stroll along pathways winding through the lush flora. Don’t forget to bring your swimsuit as you’ll have an opportunity to have a swim in front of stunning Skradinski Buk waterfall. Visit the Krka Monastery built above the Roman catacombs as well as the enchanting Visovac Island which is home to a 15th century Franciscan Monastery. A day out in a simply magical place, which is mother nature’s phenomenon! Enjoy your last day of this Adriatic adventure, with a choice of activities available. We recommend an exciting trip on board a speedboat for an exhilarating trip towards the jet set island of Hvar. You will have an sensational visit to the famous Blue Cave, a stunning natural phenomenon, wowing visitors with its ethereal blue glow. Alternatively, take the short journey to neighbouring Trogir, a charming little medieval UNESCO town with a beautiful boulevard lined with palm trees. Walk the streets of and admire the stunning castle, tower and a series of palaces from the Romanesque, Gothic, Renaissance and Baroque periods. Time to bid farewell to the friendly hotel staff and others that you may have met during your stay. You will be transferred to Split Airport for your flight home, after an unforgettable multi centre Kotor, Dubrovnik and Split holiday.